If you're looking to buy fresh, locally grown produce in an open-air market, Knoxville has several farmers markets located all over the city. 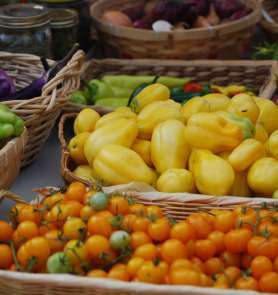 View our list of area farmers markets below and find what makes each one uniquely special. You can find locally grown fresh fruit and vegetables almost all year long as well as an array of unique locally made craftsmen and artists merchandise. Located in historic downtown Knoxville. Open May thru November, Wednesday 11a-2p; Saturday 9a-2p. Grown by local farmers within 150 miles.